FitWell is a SRC fitness program that fosters a healthy lifestyle and lifelong wellness. Access group fitness classes and choose from more than 100 cardio machines featuring TVs and iPod/iCloud syncing. 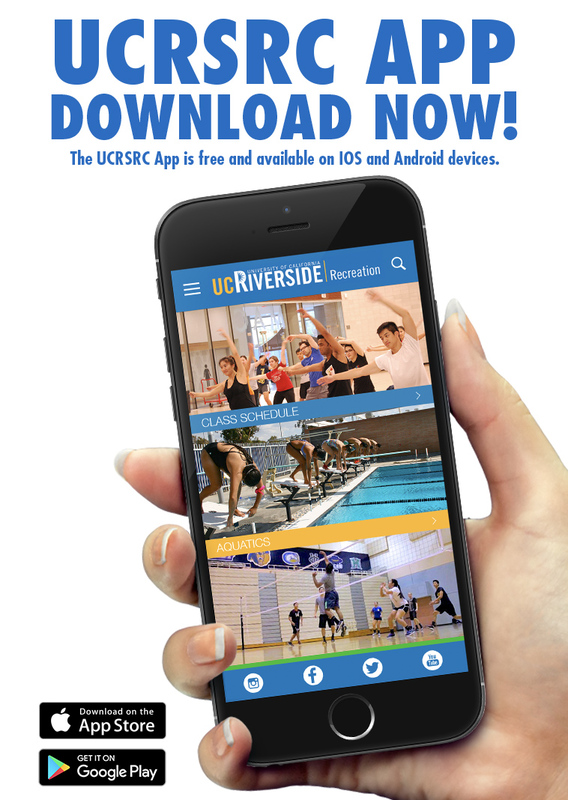 Visit the UCR Student Recreation Center and challenge yourself with our 110 Bootcamp class, jump in a free group fitness class, learn from our certified personal trainers and get a free chair massage today! Workout attire and non-marking shoes are required; denim or jeans are not allowed. Sports bras (only), muscle tanks, or shirts altered to expose the abdominal area or ribcage are not allowed.